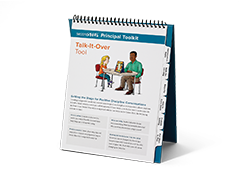 The Talk-It-Over Tool is part of the Second Step Principal Toolkit. 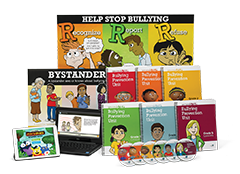 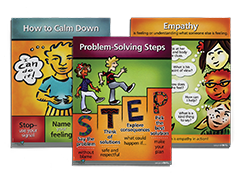 This tool features mini versions of the Second Step K–5 posters with scripts to help guide conversations during office referrals. 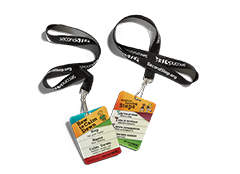 You can order extras for the vice principal’s or counselor’s offices!